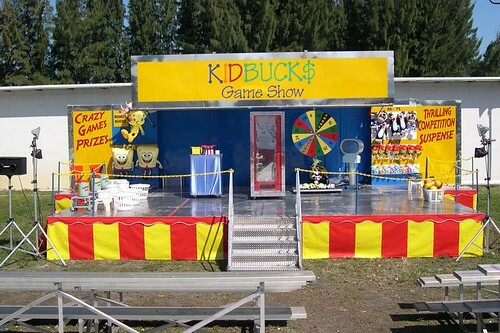 Where little kids win Big! A thrilling, high energy , audience interactive game show the whole family will love. Randomly selected members of the audience, participate in wild and crazy games. The final winner enters the Kidbucks chamber and grabs as many “Kidbucks ” as possible, as they swirl about the chamber. This show heaps up a laugh a minute and keeps the large crowds it attracts pumped up and participating. Young or old, every one loves the show! An ever changing cast of randomly selected contestants, keeps the show new and exciting. The kids are the stars of this show! This is the show that people will talk about and come back to see time and time again!